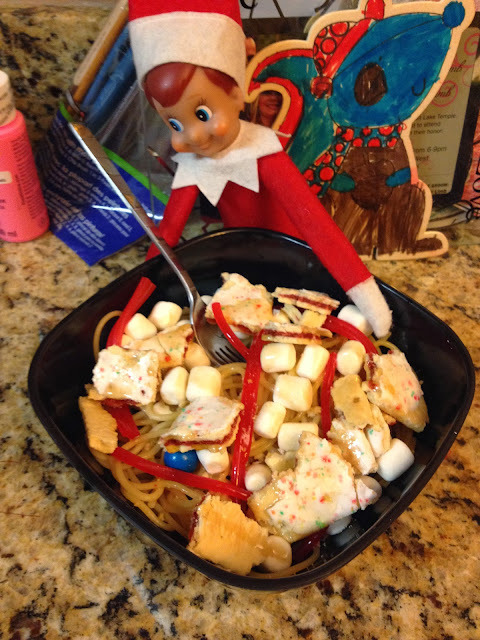 Our elf, Kringle is getting more crazy as the days go by. Today he was eating a breakfast of champions. Haha! Yay! Did Austin love it? Looks Yummy for the Elf! my kids got a kick out of that one!